Writing this blog has taken a while, it started as a lot of messy sentences around how I’ve felt about this year, what I’ve done and what I still want to do. So I’ve ended up splitting into two separate posts. The first is a focus on what I want to get out of 2019. 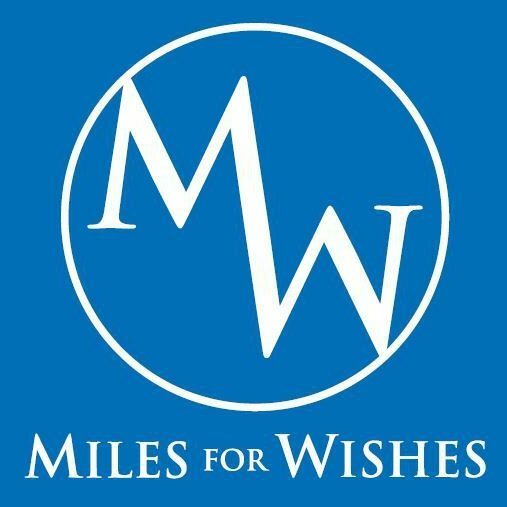 This thing – Miles for Wishes – started in 2017 with an aim of raising £5,000 for Make-A-Wish UK, by using my desire to challenge myself to try and make a difference for someone else. I’m proud to say that two years later, thanks to the support of my family, my friends and total strangers we’ve raised nearly £5,000. I started 2018 with some big ideas, this was to be an evolution from my first year of challenges and as such 2019 will be the same. I still care passionately about Make-A-Wish UK and I will still be raising money for them and the vital work they do. But that said, I don’t want to be constrained by the Miles for Wishes name either. There are lots of things I am passionate about – Mental Health and reducing the devastating effect we are having on the environment with singly use plastics and dirty palm oil production – and as such I want to do more to talk about those things too. I am starting to form a long term plan for where I might want to take Miles for Wishes (albeit in a different guise) in the very near future and that is incredibly exciting. I’ve learnt a lot this year and now sitting back, reflecting, I can see I took on too much. Four big challenges around everything else in my life has meant that I put a lot of pressure on myself, I took too much time off work and too much time away from the routine I’ve got my with kids. I lost focus on training and I fell, at some points, completely out of love with running and cycling. Its telling isn’t it, that without the pressure of an event I’ve running and cycling (albeit indoors on the turbo) so much more and as a result have been pulling in more miles than normal. The challenges, races and events are all amazing and I love doing them, but ultimately it all comes with a cost and I don’t mean just the money. So for me 2019 will be focused on finding the right balance between being a Dad, the inevitable day job and building the memories. More importantly I want to build some shared memories with my kids, with the people I love and hopefully getting out there and meeting some of the people I follow and admire on Social Media. So where does that start!? I’ve been massively inspired by Jamie McDonald (AdventureMan), Alex Staniforth and the incredible Mark Beaumont – all of whom have taken on incredible challenges, changing lives in the process. When I saw Mark Beaumont was coming to Chesham as part of his Around the World in 80 Days tour, I bought tickets and like some kind of giddy schoolgirl I’ll be sitting in the front row) and – watching and listening in awe. One thing I’ve really found about 2019 is that you don’t actually have to look very far for inspiration – there are literally thousands of ordinary people taking on extraordinary challenges, raising money for and awareness of causes close to their hearts. So one bit of balance I’m already finding is with Social Media – Instagram in particular – I’ve taken some time to focus on what I want from it and how I want to use it. It is about me, documenting my journey, sharing it with likeminded people who inspire me. I don’t get the whole influencer thing and I don’t like the ‘soft (or not so in lots of cases) selling of products and brands that comes with it. I also am not in it for the numbers, so I found it amusing when I am followed by the same person for a number of days in a row (presumably because they follow and unfollow to bump up their numbers). Anyway, I’ve unfollowed a lot of people recently just to make sure my feed is full of the things I want to see. Just a final note on that – if I follow you, it’s because I’ve taken the time to look at your feed and because I genuinely think your worth following. The flip side to Social Media, is about finding time to turn it off. So how am I planning on doing that? Turning off the phone and just enjoying more moments and adventures with my girls. I got a book last Christmas from my Brother and his family – Dadventures by Alex Gregory (Olympic gold medal winner rower). The book is about creating little adventures with your kids, whether it be after school, half a day or a weekend away – so after Christmas I’m going to be getting this out and using it to inspire us in exploring, learning and bonding. I’m also going to invest in a National Trust membership for the three of us. I’ve been following The Yes Tribe and it’s made me realise I am not making the most of my odd free days to have those micro-adventures. I took a friend to the Brecon Beacons in August, where we planned to climb Pen-y-fan. On the way up in the car we um’d and ah’d about whether I’d have time to show her the Four Falls walk and the impressive Sgwd yr Eira. We debated it and decided to go for the falls and sacrifice the length of the walk up the mountain. Off we set, following the river and on the way down (as we walked past one of the smaller eddies after the Fall of the White Meadow) I made a passing comment about “how cool it would be swim in there!”, the reply I got was “we should definitely do that!”. We agreed to finish the walk and come back to it (to save being cold and wet for any longer than necessary – no towels were packed). Despite there being a number of other walkers we were the only ones to walk behind the curtain of water ! On the way back, we stripped down to our undies and jumped in to the pool – it was so cold it literally took my breath away for a few seconds, but it was deep and pretty clear and just amazing. It is one of my absolute highlights for 2018 – no real plan, just being open to things and saying yes lead to an amazing day. There is so much of the UK I’ve not seen – I’ve cycled and run through quite a bit of it now, but those challenges often mean I am not taking the time to really enjoy where I am. So more YES in general, more effort to have those micro-adventures. So I think that’s an incredibly long winded way of saying 2019 for me will be about finding the right balance. As such, my race calendar isn’t that full, just a few local events that I like and want to go back to as well as a few new ones that look interesting. That said, I am going to be flexible, if there’s an event and I have am free, I’ll go – if not, then I am not going to worry about it. I have two challenges in mind – 1 cycling and 1 running, the later of which I plan to do as a ‘team’ and as such I’ll be looking to recruit some people to come along with me. Time – as I’ve already sort of discussed, seeing my kids is important and taking a weekend away to run a marathon or an ultra takes away time from our routines and adventures. Over 2018 I’ve come to realise that’s not something I am prepared to sacrifice readily. Cost – This has always felt like a barrier to me, unfortunately, and a large part of why I prefer the solo challenges (freedom to make my own decisions on timing, routes and fueling). I really wanted to run Edinburgh Marathon, do Race to the Stones and join RideLondon 100 – but at approximately £70 each, plus the travel and accommodation it’s a huge financial dent (plus I need a new pair of running shoes, water & wind proof cycling jacket…). As I say it’s feeling ok – no pressure – a couple of Half Marathons (and the hope of getting closer to my dream 1:30 time), a couple of 10kms and 3 virtual races (all supporting Mind, the Mental Health Charity). This will be sprinkled with a few Parkruns and any events I pick up along the way. To structure the running I’m going to start a Marathon Training Plan (thanks Runners World) to which I will add at least two bike sessions per week, ideally three, which will an addition to the easy run days. So while a lot of still up in the air and still to sort, I am excited about the year ahead. Hopefully you are too!